· 5032 size miniature SMD crystal resonator with a low profile of 1.0mm. 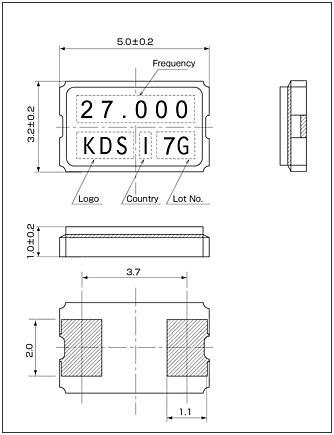 · Offers a wide frequency range from a comparatively low 7MHz up to 70MHz. Suitable for PDA, car navigation systems, digital AV equipment as well as many other applications.